If your case goes to trial, you can expect to spend hundreds of thousands of dollars. Even when you’ve done nothing wrong, you still have to defend yourself. When you can’t afford a lawyer to represent your business, your only options are to represent yourself or settle out of court. Neither option is easy. There are countless reasons Pro se (self-representation) is a bad idea, and settlements aren’t cheap. For instance, the security firm G4S recently reached a settlement for £100.2 million in a class action lawsuit concerning meal and rest break violations in the U.S. The class action lawsuit covered more than 13,000 staff members employed between 2001 and 2010. The company has two previous class action lawsuits on record with similar settlements. Although workplace litigation is on the rise, there are strategies you can employ to mitigate the risk of being sued. Those strategies center on strengthening your HR policies. Strong HR policies and procedures reflect the law. By aligning your HR policies with current law, you’ll give people one less detail to use against you should a complaint turn into a lawsuit. Your policies and procedures are legally binding contracts with your employees. The ‘legally binding’ aspect is mutual. Obligations set forth in your documents bind both you and your employees. When either party fails to meet a part of their agreement, it’s considered a breach of contract. It’s an obvious breach of contract when an employee breaks a company rule, but businesses are required to meet their obligations, too. For example, if your company policy outlines procedures for investigating complaints or resolving infractions, yet your managers fail to follow those procedures, you could get sued for breach of contract. Once your HR policies accurately reflect the law, it’s important to strengthen your company’s written procedures and ensure they’re being followed at all times. For example, do you have a written procedure for firing an employee? Is that procedure written according to the law? Do you require your managers to follow the written procedure to the letter? Most importantly, do your managers actually follow company procedure? Nobody likes being restricted by rules. Most people prefer to do things their way whenever possible. However, having (and following) written procedures are your first line of defense against lawsuits. When an employee breaks a rule, you’re obligated to follow your procedures for remedy. If you don’t, that employee could sue you. 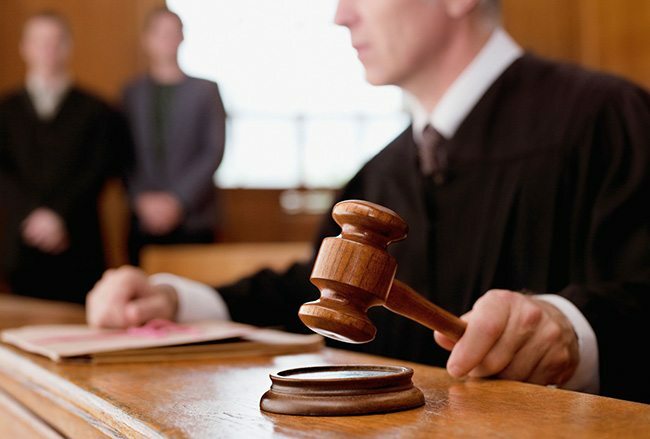 Not following your company’s written procedures can cause you to lose your case in court. If your policies and procedures are outdated or inaccurate, they may not stand up to legal scrutiny. One incorrectly worded document – or incorrectly followed procedure – can leave you open to damaging litigation. You may want to consider a professional review of your documents pertaining to everything including recruitment, onboarding, complaint management, incentives, discipline, and any other legal documents you use. Your company’s HR department needs to do everything it can to prevent the possibility for claims that an employee didn’t know about company policy. Such claims can lead to wrongful termination lawsuits, among others. To prevent this potential situation, Forbes.com recommends conducting employee training in a highly structured, documented environment. Put all of your policies in your training manual and make sure each page is reviewed. It doesn’t hurt to have employees initial the corner of every page they read to acknowledge they have read and understood the content. Be sure to follow your company’s procedures for investigating complaints and dealing with employee infractions in the workplace. It’s not fair nor legal to punish an employee for violating company policy in a way that doesn’t follow company policy. For example, if company policy dictates that showing up late for work is a write-up, and the third write-up for the same infraction is automatic termination, you can’t terminate an employee for being late on their second infraction. Well, you can do it, but they’ll probably file a wrongful termination lawsuit. Set the example of integrity by following your company policies to the letter. If they don’t work, revise them until they work. You may not be able to avoid all lawsuits, but you’ll avoid ones that are preventable. Home Legal Are your HR policies strong enough to withstand a potential lawsuit?